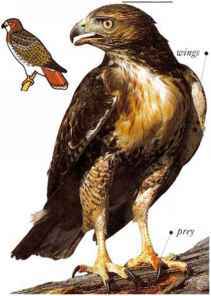 I his is a heavily built hawk of the tropics and subtropics, living in dry regions including semi-desert, semi-arid woodland, and scrub. 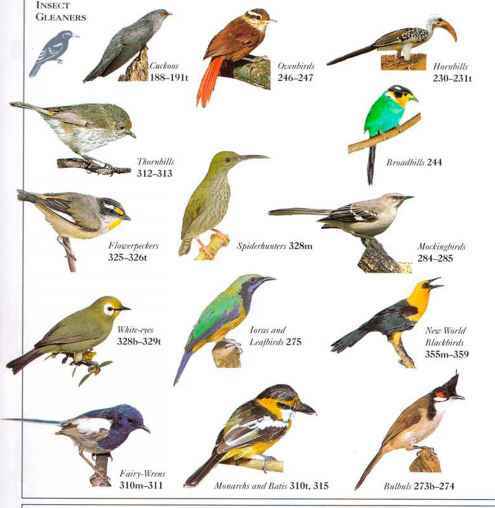 It is a fast-flving hunter that swoops from a perch to pursue desert rahhits, rats, snakes, lizards, and birds. Unlike other hawks, this species has a strong pattern of cooperative behavior, in which it is common for three birds to hunt together and share the kill. Larger family parties have been seen hunting in this way. Groups work together to catch prey that has taken cover, one bird approaching directly to drive it out, the others hanging back, ready to give chase. Often a nesting female is fed by two or more males, and in some cases she mates with two males. The whole group cares for the voting. • NliST A neat structure of twigs, roots, and stalks, lined with leaves, grass, and bark, in a tree or on top of a tall yucca or cactus. south through Central America to Chile and Argentina. Adult which lacks the red tail. A typical open-country bird of prey, this species commonly seeks out rising air currents (thermals) on which it circles and soars while looking for prey. Alternatively, it often perches high in a tree to watch for its prey. Any animal that moves is taken, whether mammal, reptile, bird, or large insect. As well as occurring in open landscapes, the Red-tailed Hawk is found in mixed country with both fields and trees, and in semidesert, especially where there are scattered trees. • NliST A bulky platform made of sticks, with a cup-shaped hollow lined with finer twigs and stalks, sited in a tree. • DISTRIBUTION North and Central America and the Caribbean. Some populations migrate within this range.